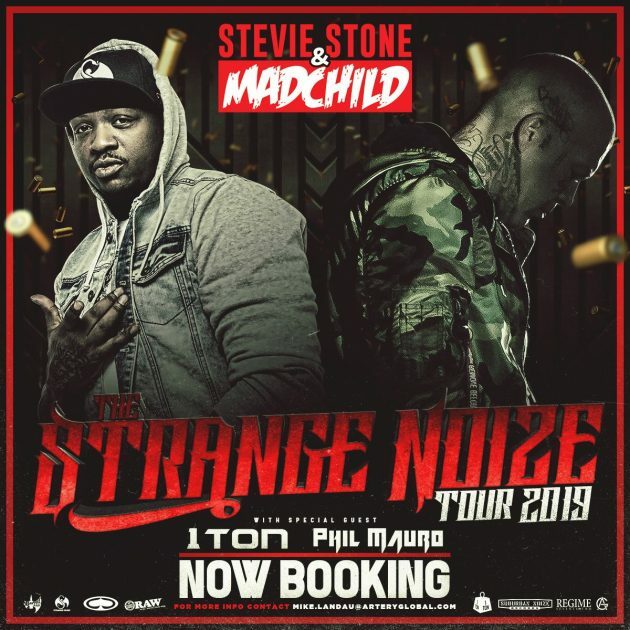 Stevie Stone & Madchild Join Forces For The Strange Noize Tour! Strange Music mainstay Stevie Stone is heading out on the road armed with some fresh new tracks from his Set In Stone collection to add to an already packed live show! A veteran performer with a ton of energy, if you haven’t seen Stevie before you are missing out. Joining forces with an equally as energetic performed in Madchild, who, too, has new music to perform, you’d be crazy to miss the Strange Noize tour! Tickets are on sale now! Don’t miss out!